According to various education publications, the National Talent Search Examination (NTSE) is one of the most prestigious academic competitions in India. Every year, 1000 National Talent Scholars are selected among a pool of over 10 million 10th graders. Anuj took part in state and national level competitions and cleared a final round of interviews to become one of these scholars. The remarkable part of this story was not that he found himself among the 0.01% of students nationwide to win this honor but the condition in which he won it. During a scheduled break in the all day examination that comprised the national level competition, Anuj accidentally fell and badly hurt his writing hand while hanging out with friends. His hand quickly ballooned up but instead of heeding the advice of many to go immediately to a doctor, Anuj dealt with the pain to finish the remaining three hours of testing. He somehow found a way to concentrate on the multitude of mental puzzles and scholastic problems and devised an impromptu way to write despite the significant swelling. When asked how he felt after emerging from the test, he answered in his typical understated fashion saying it was no big deal. When Anuj won the competition and received his prize money he did something very different than most other winners. Instead of spending it on a well-deserved gift for himself after the grueling competition, he tried to give it to his parents whom he credited with supporting him throughout the process. Dressed up for his final round interview in the NTSE competition. Winter 1992. Not only did Anuj love playing baseball, he truly enjoyed it as a spectator as well. To those who would question his passion for the game, he would often say, "it doesn't look like a lot is going on, but strategic decisions are being made on virtually every pitch." This "thinking man's game" aspect is what kept him hooked. 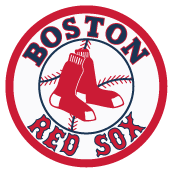 Anuj's favorite team, the Boston Red Sox, played his second favorite, the Oakland A's, today. In years past, when the Red Sox came to town, he often organized an outing to the Colliseum in Oakland to take in the game. We're sure Anuj would have gotten all of us together to watch this time too. Anuj is an Indian name meaning "younger brother" or "later born". In Indian culture great significance is given to the bond of brotherhood. It is considered sacred. "I'm a Better Man Because He Was My Friend"
"Anuj never failed to see the good in me. He was the most calm, easygoing, and levelheaded person. I' m not sure I realize yet that I'll never hear his laugh again, this goofy bellow that would either make you smile or laugh in response, no matter how sad or angry you had been just before. He was my friend from my first days in the house, lived next door to me for 2 years, and there are so many things I remember. His tone deaf singing competing with my limited vocal range to drive Cargol crazy in the other room. Going with him to see Wilco at the Avalon, and after the concert coming back to the house and raiding the fridge in the kitchen, listening to Wilco CDs on Bob Mac's stereo. His first few driving lessons in my Jeep, with Flo in the back seat and me riding shotgun, both of us encouraging him around the parking lot on the other side of the StarMarket. Chilling out in the TV room so often, watching SportsCenter, baseball, and football. The time we sat down to watch the All-Star Game home run derby at Fenway, realized it was happening only a mile or so away, rushed upstairs, grabbed our gloves, and ran to Lansdowne Street to be in the crush behind the Green Monster and witness McGwire's and Sosa's ridiculous blasts. The many weekend afternoon meals at Mandarin, Golden Donut, or one of the Indian places in Central Square, where he once demonstrated how folks back home use their hands to ball up curry and rice when there's no fork to be had. His M.Eng. year he went home to India over the winter break, and brought back gifts for a bunch of us. On trains and planes, from halfway around the world, he lugged back a ceramic Laughing Buddha for me. Since then, every day I rub its belly on my way out the door, looking for all the good luck I can get. Tomorrow, and for some time after that, I know that's going to make me sad. Eventually, even though I'm always going to miss him, that's going to make me smile. The last time I saw him was when I was out in the Bay Area for a conference last year. He showed me San Francisco, up and down the hills, beating up his car's transmission in the process. We walked out on the Golden Gate Bridge and hiked a little bit up in the Marin Headlands. We met up with Flo in Berkeley, she showed us the campus, and we snuck into Memorial Stadium. Somehow I convinced them to walk around Berkeley Hills with me, where my Zen exploring promptly got us lost, but of course Anuj only laughed about it. We ended up having dinner at a little restaurant near the campus. It never occurred to me that would be the last time I'd see him. If there has to be a final memory, though, that's an exceptional one. About the only positive thing that I can come up with at the moment is that he's not really gone. I am a better man because he was my friend. The same goes for everyone who has known him. We each carry a bit of him with us, and that total sum is immeasurable." Anuj loved maps. Throughout his life, he liked to draw, study and collect them. In honor of this aspect of his intellectual curiosity, here is a timeline of Anuj's life in cartographic form. Click on each map to see more details via Google. 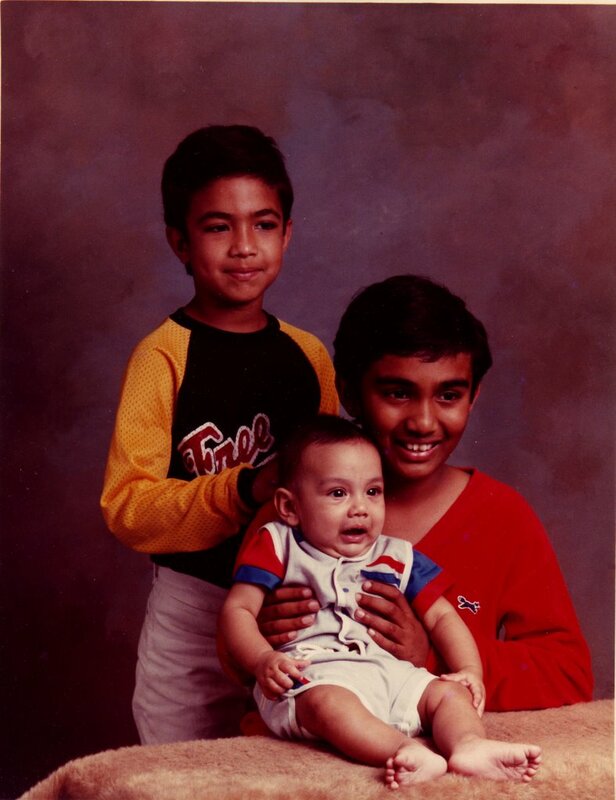 Anuj was born in Boynton Beach, Florida on April 9, 1976, a few miles north of Boca Raton where he lived for his first three years. He moved with his family to Saline, Michigan on the outskirts of the college town of Ann Arbor in 1979. Anuj spent the next six years in this beautiful small community. 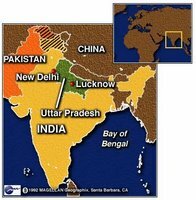 In 1985, the Mohan family relocated to the other side of the world to Lucknow, India. Anuj learned a new language, culture and way of life very quickly. The bulk of his teenage years were spent in India. 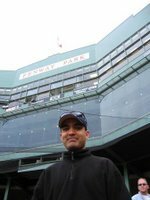 While in college and grad school from 1994 to 1999, Anuj enjoyed the humid summers and cold winters of Cambridge, Mass across the Charles River from Boston. In 1999, Anuj trekked across the country to join the dotcom wave in Silicon Valley. For six years, he lived all over the Bay Area: San Francisco, Mountain View and San Leandro. 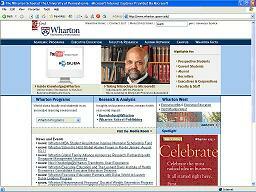 Anuj moved back to the east coast in July 2005 to earn his MBA at Wharton in Philadelphia. He lived next to historic Rittenhouse Square. Anuj's welcoming smile, warm spirit, and sense of humor allowed him to make friends effortlessly. His humility, kindness and integrity allowed him to keep those friendships permanently. Surrounded by his friends after graduating from high school at St. Francis College in Lucknow, India. Summer 1994. 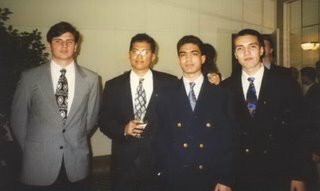 With some friends from his pledge class before an ADP fraternity event at MIT. Spring 1996. 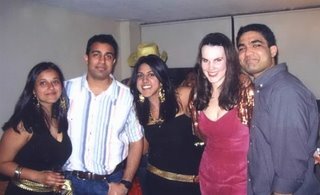 At a party while working towards his MBA at Wharton. Winter 2006. 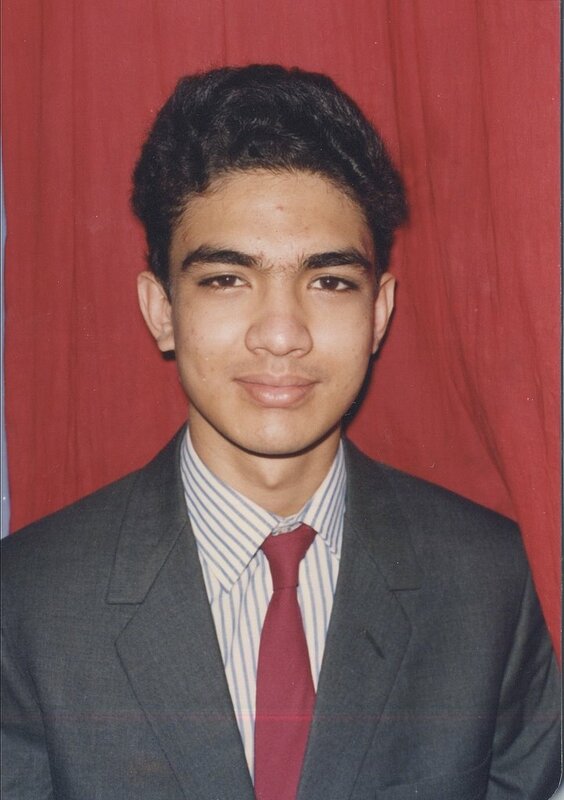 "My memories of Anuj will include his sense of humor and caring personality. He volunteered to help one day at Rebuilding Together to help fix up our cohort’s house even though he had been having back problems. I told him that he wouldn’t have to carry anything and could help out however he could. Anuj ended up coming out to help on a horrible day, showing up at my apartment completely drenched from the pouring rain. Once we arrived at the house, he was eager to help out in anyway he could. Anuj actively looked for things to do and before I knew it he’d have another project completed and would be asking me what to do next. I have a picture of him pulling down rotten drywall. It seemed like everything was falling out of that ceiling, including a mouse that had probably been up there for years. Anuj just laughed, got the trash, cleaned the mess up, and got back to ripping it down, before replacing it. I really wish I’d had more time to get to know him and I’ll regret not having spent more time hanging out with him. But I’m thankful for all the time I did get to spend with him and will miss seeing him walk down the halls with that big smile on his face. You will not be forgotten, Anuj." Click here to learn more about Rebuilding Together. Anuj believed that appropriately harnessed technological innovation profoundly benefited society. He devoted a significant portion of his academic and professional career to contributing to this process. 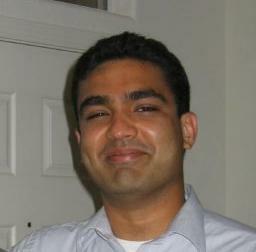 As his colleagues and professors have asserted, Anuj was an accomplished researcher in the field of computer science, specifically artificial intelligence and machine learning. He worked on complex problems in these areas and published his research in peer-reviewed scientific journals. Anuj's work has been cited nearly 200 times by scientists and engineers around the world. It will find applications in fields as varied as security systems, automobile safety, robotic tools for the physically impaired, etc. One can build an eternal legacy by finding a way to contribute to human progress even after leaving this world. Anuj did just that. Through his publications, he found a way to not only make an impact while he was with us but continues to do so through computer scientists that are building on his work. Ann Arbor, Michigan. Winter 1985. Palo Alto, California. Summer 2005. "I am deeply saddened to have lost Anuj. He was one of the most wonderful people I have ever known and I consider myself privileged to have known him for the short time I did. He was talented and intelligent, but was also understanding and sympathetic of others, loving and giving. He was always able to smile and laugh even through trying times: he had an unconquerable spirit. I am a better person for having known him and I shall miss my friend terribly." "What I remember most is his ever-present laughter - especially at house meetings where Tim or Ameet would start to tell a turkey story that might have only involved Anuj peripherally - they might have just briefly mentioned Anuj's name - but Anuj would bust out with his unstoppable laugh (I really don't think he could have made himself stop laughing even if he had wanted to). This laugh would inspire high-pitched cries of "Anoooooooooj!!!" from everyone, which would ring out over his uncontrolled laughter until, sure enough, Anuj would be awarded the shirt. In my memories of Anuj, he is so happy and alive, I can't believe he's no longer with us. 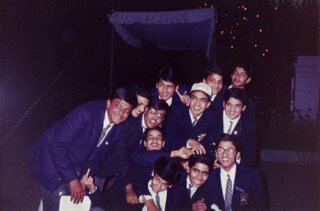 I am proud and happy that Anuj was my fraternity brother. The thought that his goofy, unstoppable laugh is no longer out there making others happy hurts me." "Man Inspires Legacy of Learning"
The San Jose Mercury News, Silicon Valley's newspaper of record and the second largest in Northern California, published a story about Anuj today. Written by education reporter Luis Zaragoza, it appears on the front page of the Peninsula section and includes two photographs of him. The article focuses on Anuj's many accomplishments, his passion for education and dedication to providing equal opportunities for all. It also includes information about the scholarship fund established in his honor. Online, Anuj's article is available under the Local and Education sections of the website. San Gregorio State Beach, off Highway 1 on the California coast between San Francisco and Santa Cruz, was one of Anuj's favorite spots. 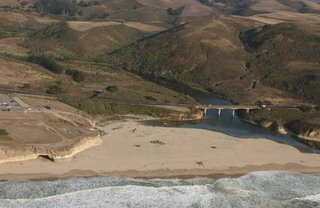 Unlike its often crowded neighbor Half Moon Bay Beach to the North, San Gregorio is usually not teaming with beach-goers. Anuj would take family and friends there to relax in its serene atmosphere. Click here to learn more about San Gregorio State Beach. As many of his friends and family know, Anuj played on the MIT varsity baseball team - aptly nicknamed the MIT Engineers. He was on the team for the 1997 and 1998 seasons. Both years, MIT had winning records - overall as well as in their conference (at the time, they played in the Constitution Athletic Conference). By all accounts, Anuj was an incredibly gifted athlete but making the varsity squad was not going to be easy. According to his fraternity brothers, he basically willed his way onto the team. He loved baseball and practiced hard until he was good enough to get selected. In characteristic fashion, Anuj saw a worthy challenge and did not relent until he had achieved his goal. Balancing a full baseball practice schedule with the grueling academics at MIT was of course no small task. In fact, one of his friends recalled Anuj constantly doing wrist-strengthening exercises in the A.D.P. dorm, even when studying for an electrical engineering test! 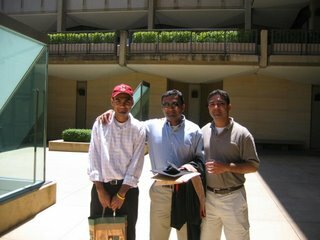 The Palo Alto Weekly published a tribute to Anuj in its Transitions section today. It is a beautiful retelling of his life and makes it clear how much he accomplished in such a short time. When the file opens in your browser, scroll down to page 11 of 27. As you can see, the Weekly highlighted Anuj's story and also decided to publish a photograph. To view previous stories about Anuj, scroll down to the "News Articles" section in the right-hand column. "Anuj was a MEng student my freshman year at MIT. I remember him encouraging me during the inflatable Bungee-run on my first day of rush. I remember overnighting in his room and how considerate of me he was. That red carpet is certainly memorable. I remember going to play pickup football with him and several others on October 24, 1998 – the first day snow was predicted – shocking to an Arizonan. On the way over, he told me a story of how Leo Malave had lost three brother’s badges, effectively, and correctly, predicting that my future badge would join the abyss. My memory of Anuj that most accurately describes his wonderful character and his ability to care for each of us occurred when I was rush chair a few years later. I’d sought out a lot of former rush chairs for advice; however, I believe Anuj was the one who gave me a call from across the country. Most folks will give you advice from a “here’s how not to screw up rush/the house” perspective. Not Anuj. I remember him asking about me, to see if I was doing alright, and trying to find out how I was holding up. Of course Anuj cared about the house, but he effortlessly found a way to care about the individuals first. This reminds me of how much of a lesser man I am. But that’s a good thing; Anuj can still teach me things and that active connection means part of him is still with me. I think about what the world has lost. Not only will a great man be gone, but so will his contributions to the world, like children, and grandchildren. Anuj would have been a great father. I know many of us believe that this existence is preparation for the next. 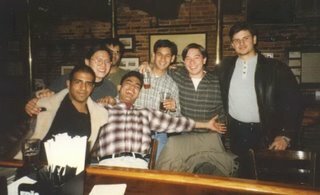 To that end, the only way I can find any peace in this is to think that Anuj had made so many wonderful connections to us and the rest of the world that he was exceedingly well prepared." "I can not tell in words how shocked I am by the sad news about our friend Anuj. Anuj, you truly inspired me and I am sure you inspired everybody who crossed your way. We will miss you but you will always be in our hearts." "Last year on July 4, Anuj invited us all to Flo's place in San Leandro and later took us to Oakland where we watched the fireworks from Jack London Square. We had a great time. He and Flo cooked up a lot of tasty treats from scratch including samosas, chicken bites, home made ice cream, etc. We ate and hung out at the apartment in San Leandro for a while and then drove up to Oakland. On the way, he shared some history about Oakland and the East Bay. It was very interesting since that part of the metropolis is often overshadowed by the big city to the west. At Jack London Square we all regrouped and staked out a great place to watch the fireworks show. Anuj, as considerate as ever, brought some folding chairs for mom and dad to sit on during the display. The show itself was spectacular. The fireworks were fired from a barge in the bay. The entire square was packed with people enjoying the show - an incredibly festive atmosphere. Afterwards, as we went our separate ways, Anuj called a few times to make sure we found the right exit after driving around Lake Merritt. He was thoughtful that way and just wanted to make sure his family got home safe. Remembering it today is extremely painful. But I can still manage a smile because Anuj was the consumate host as usual and we had a lot of fun. July 4th will never be the same." Two more newspapers have written stories about Anuj's life and the scholarship fund. On June 30, the San Mateo County Times ran an article in their local section. On July 2, the Palo Alto Daily News ran a piece that ran on Page 3 at the top of their local section.